The first point of the “Final Agreement for the Termination of the Conflict and the Construction of a Stable and Lasting Peace” is titled “Towards a New Colombian Countryside: Comprehensive Rural Reform”. The conflict and the achievement of peace cannot have a simplistic vision, just linked to the cessation of fighting, but must also involve to meet social requirements in order to satisfy the needs of Colombians inhabiting different territories. The object of the project is to carry out a systematic compilation of basic data regarding the agricultural reality in conflict zones, especially the one related to land tenure, and an analysis of the legal instruments of the State to allocate private and public lands to peasants, particularly to Agricultural Family Units. 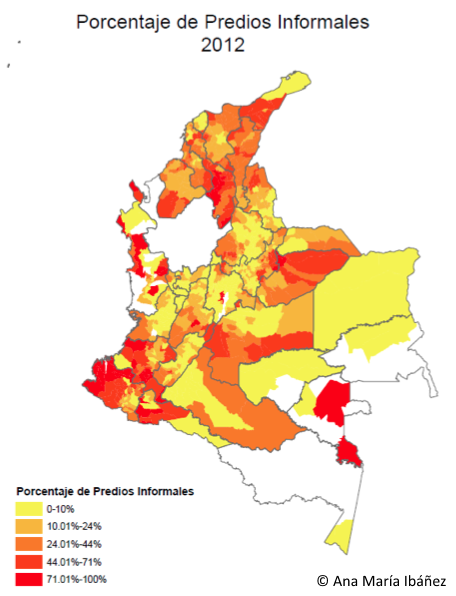 As empirical evidence will be used the projects carried out in the issue by the University of Santo Tomás in Villavicencio (Meta). In addition, the project will be oriented towards a comparative study with Germany. Germany can contribute with its experience in land restitution, which occurred after the reunification of the country in 1990, in order to address the problem of wasteland in Colombia. 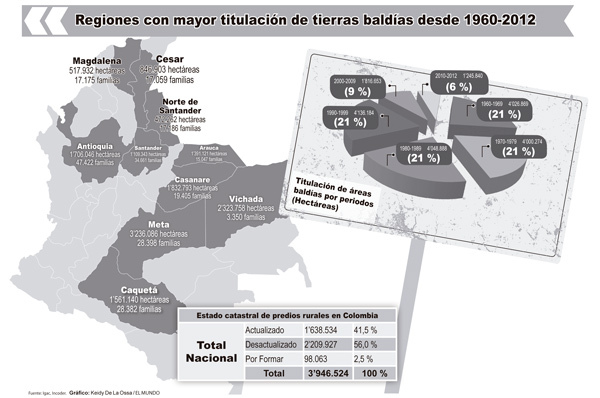 It is expected as a result a revaluation or confirmation of the instruments used by the Government of Colombia for the allocation of wasteland.